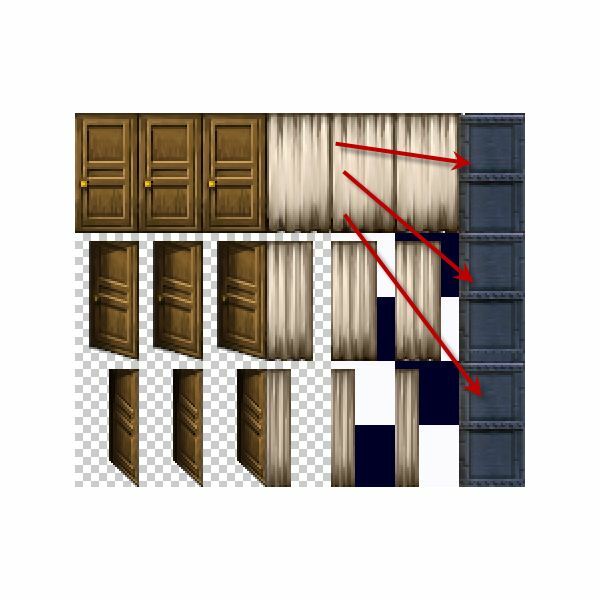 A quick way to get different looking walls (or other art included in RPG Make VX) is to simply change their colors and this can be easily done in Photoshop. 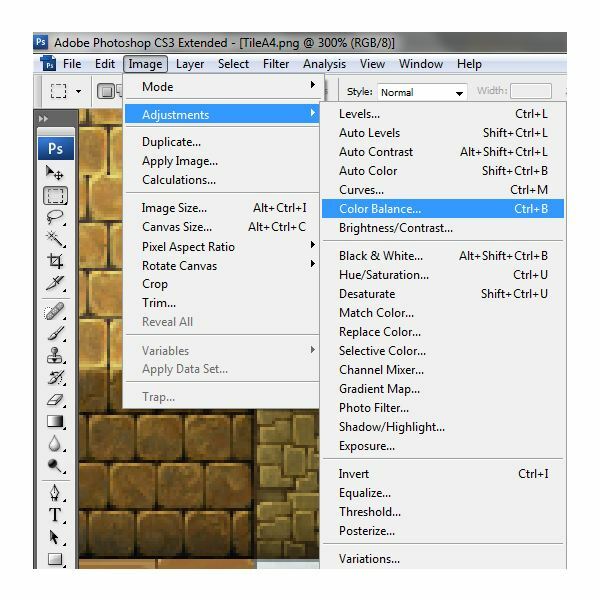 Open up your TileA4.png and select a wall which you’d like to look differently by pressing the “M" key. Have fun and experiment moving those sliders around and you’ll see the wall you’ve selected go through all kinds of colours. 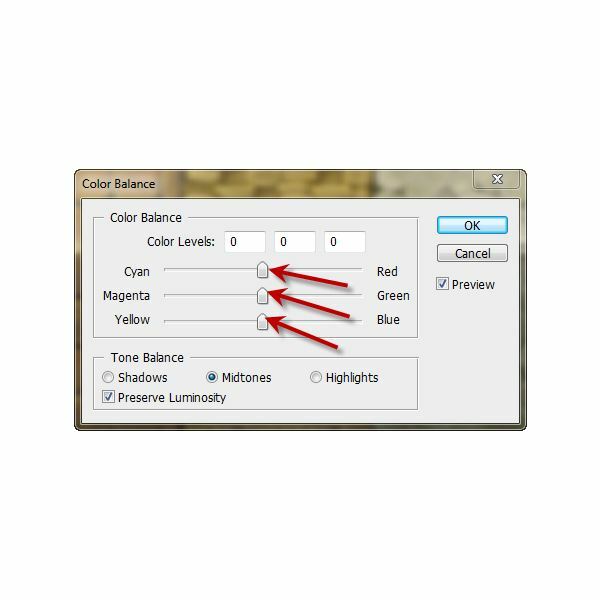 Note: if you prefer, you can also use “Hue/Saturation" to change the color of your tiles. In my example, I’ve ended with a familiar wall of red bricks. 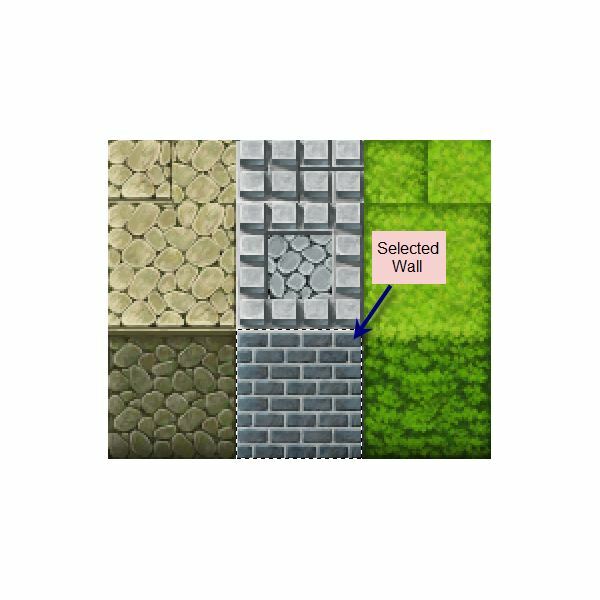 Now that we’ve seen how to obtain walls of different colors (note that this will work for just every single tile in RPG Maker), let’s see how to create something a little bit different. 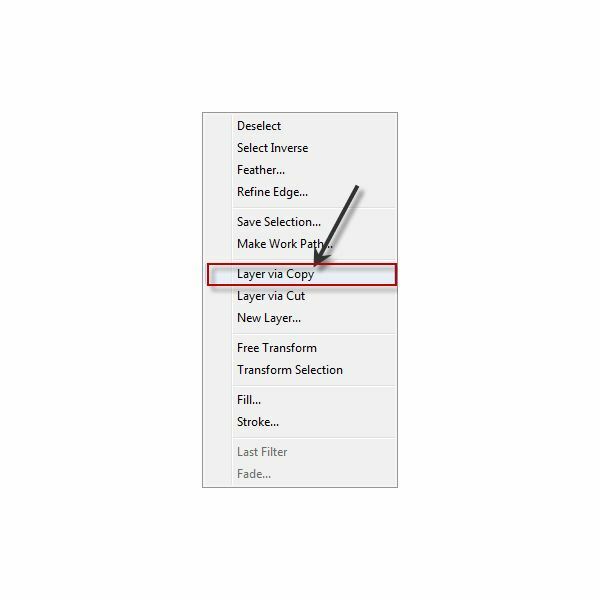 Second, while still selected, right click your selection and choose “Layer via Copy" (it’s in the menu right there, you can’t miss it). 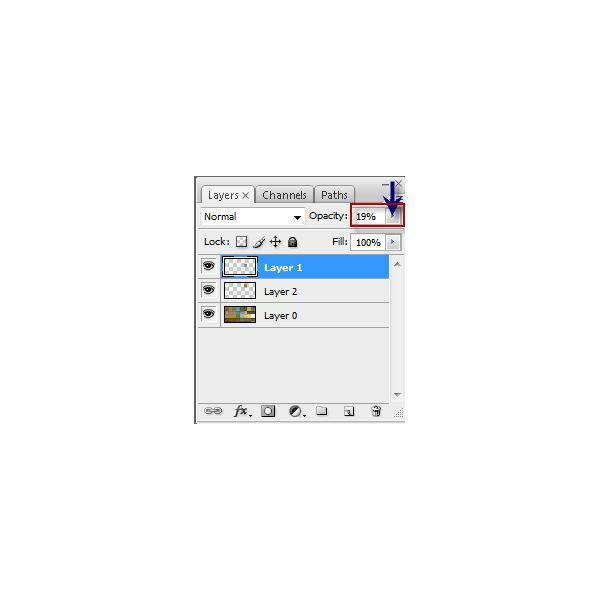 Fourth, check out your layer menu. You should see “Opacity" somewhere. 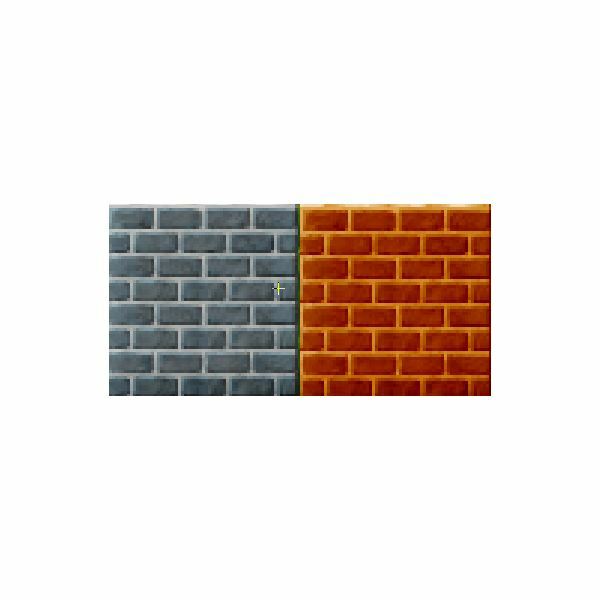 Reduce the brick wall opacity until you get a satisfying result. 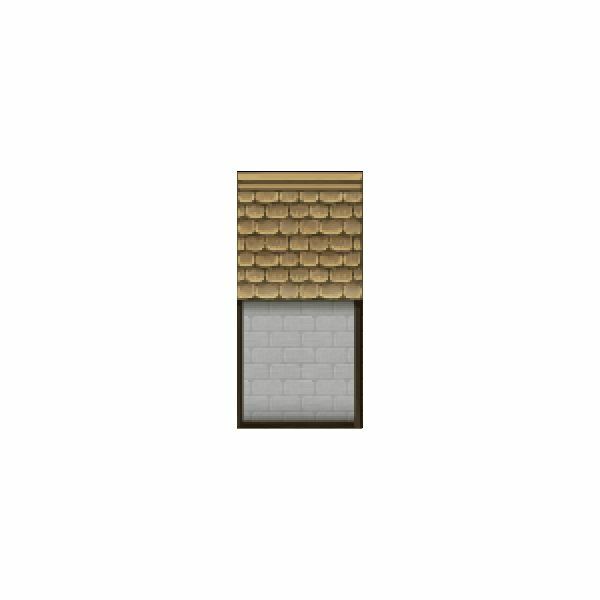 Splitting tiles is a very easy way of creating doors by using already existent art. You can also dissect various objects and reassemble them to create brand new and unique art. 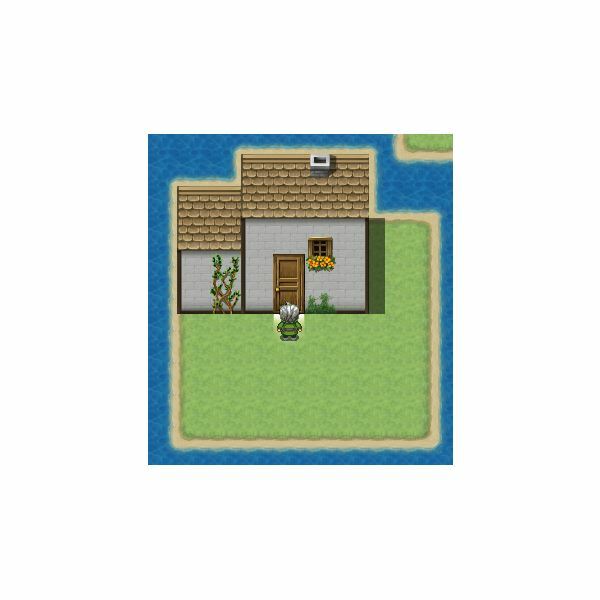 First, open up your !Door3.png file. 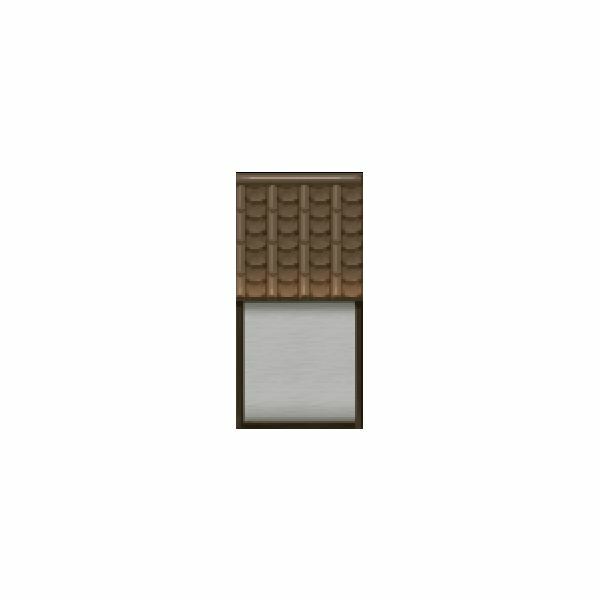 This will serve as your template. Third, copy the selection (CTRL+C) and paste it on your !Door3.png file. If you want to, you can change the door’s color (I did). Fourth, try to position your wall above the one of the doors. You’ll notice the wall is too big. No big deal. 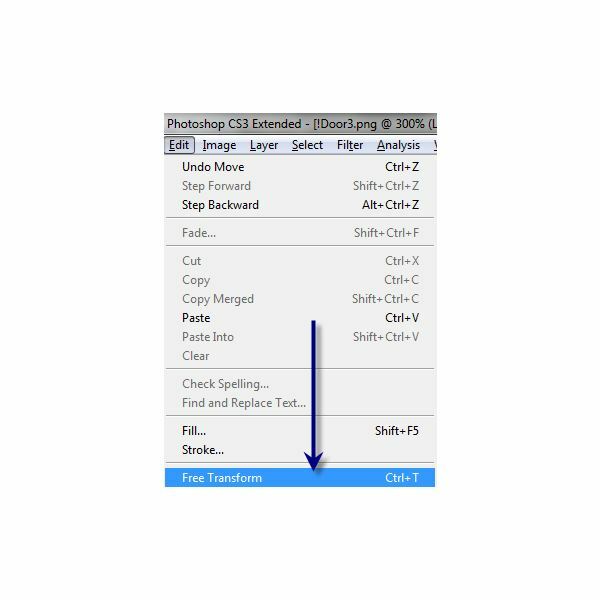 Select “Edit", followed by “Free Transform". 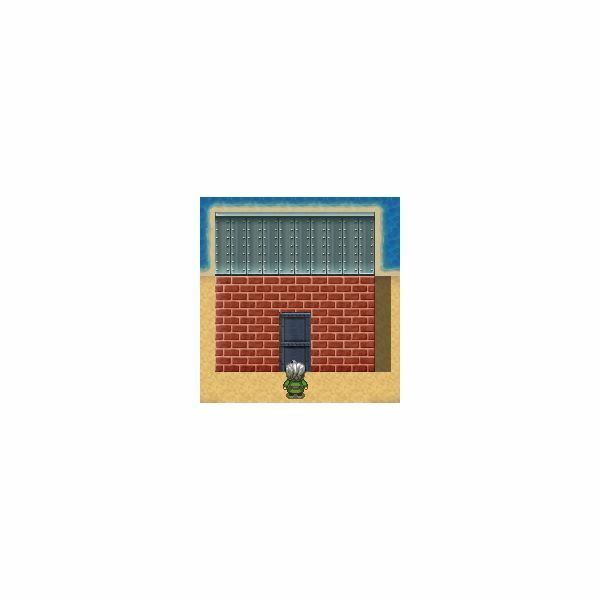 Now resize the wall so that it’s about the same size as your door. Fifth, all you need now is to decide how you’d like your door to look like when they open. This is really a question of choice but I’ll show you the way I did it. By using “Edit", followed by “Rotate Counter Clockwise", I shifted the wall horizontally. 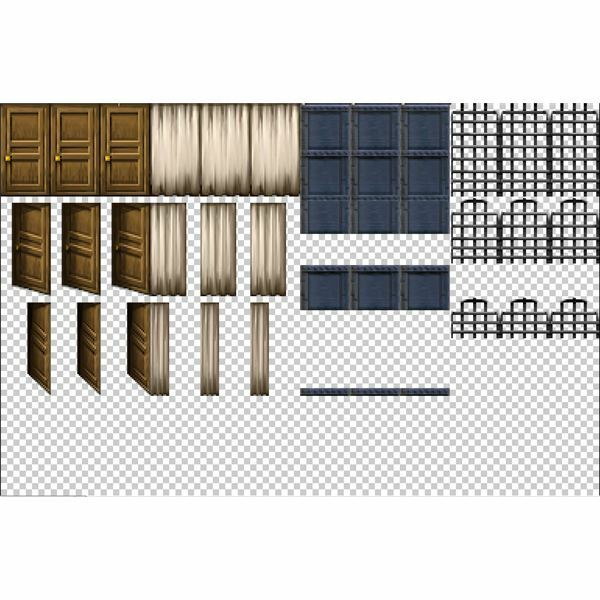 Then I corrected the darker patch on the wall (what used to be the bottom of the wall) so that it looks similar to the other side by using the “Dodge Tool" (press "O" on your keyboard). Fifth, by selecting the move tool (“V") and by holding down ALT, I made two more copies of my door right underneath the first one. All I had left to do was to modify the last two pictures to make it look like the door was opening. 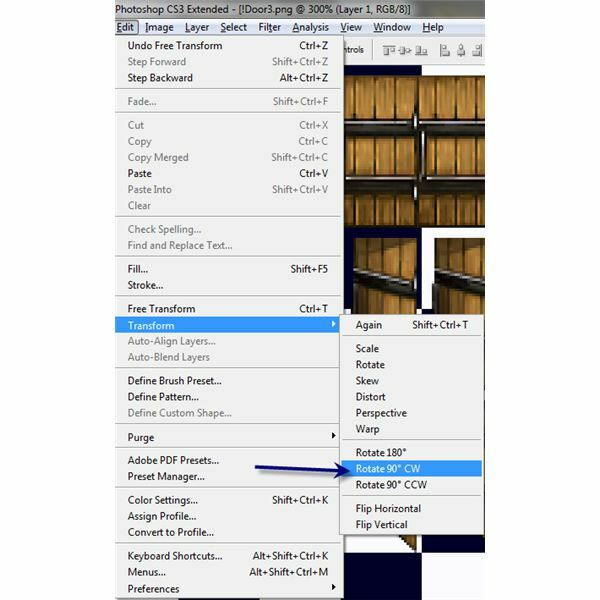 This can be done by using the Marquee tool (“M") first and then moving both sides of the door with the move tool (“V"). Is there something you’d like to have in your game? Leave any requests in the "Comments" section (registration isn’t necessary).